When my friend Anindya who also writes a lovely blog called Pikturenema along with his wife Madhushree called and asked me if I would join in for a Bloggers Table hosted by Karen Anand to showcase her products specially curated by the wonderful Chef’s from Taj Bengal I naturally accepted his warm invitation. I have long admired Karen Anand and loved her delicious products and read her blogs but I had never had the pleasure of meeting her. On the designated day I was there at Taj Bengal where, along with my fellow bloggers we were introduced to our lovely and gracious hostess. She was very warm and made us all feel welcome and soon we were chatting away like old friends and yes the conversation was all about my favorite topic food. Once we were seated and our beverage orders taken we were given a tasting of the new sauces and conserves that were being introduced by Pune Farmers Market. Wholegrain Mustard with Chili, Tibetan Sauce and Singapore Chilli Garlic Sauce. She also made us sample two Conserves the lovely Alphonso Mango and Fig and Orange. They were all brilliant and we went at them with gusto. I absolutely adored the Wholegrain Mustard with Chilli (its brilliant) and I really liked both the Conserves and would happily sit with the bottles and a spoon and polish them off. For those of you who could not make it to the Farmers Market there is a shop called Velvet Tango on Judges Court Road (9831026799 or 09830013782) where you can stock up on her products. Then we began an absolutely fantastic lunch. Three delicious soups Forest Mushroom Cappuccino, Cream of Garlic with Enoki Mushrooms and Cherry Tomato Basil Broth. The Mushroom Cappuccino was the pick of the lot and our meal was off to a wonderful start. This was followed by Pomelo, Beetroot and Goat Curd Salad and Olive Oil Poached Prawn, Fennel Confit, Rocket and Picked Tomato. Now most of you who know me know that I am not a salad person but I confess I wiped my plates clean because both the dishes were excellent and made with such choice ingredients that it would be an injustice not to eat every morsel with relish. The prawns were plump juicy and perfectly cooked and greatly appreciated by every one of us. After this kind of a first innings we were eagerly anticipating our mains. I was torn for choice between the Organic Cochin Vanilla Marinated Bhekti, Quinoa Pilaf, Minted Squash, Agro dolce or the Cumin Crusted grass fed Australian Lamb Rack, Roasted Peruvian Potato and Tamarind Glaze. Thankfully Indrajit was sitting beside me and we decided to share our dishes so we could enjoy both the protiens. That was a great decision because they were outstanding. We were transported by the lamb which was fantastic and the degree of cooking spot on and perfectly pink. The Fish was lovely, fresh, and flaky and went well with the Quinoa Pilaf but the Agro dolce was a tad on the sweeter side and I preferred to have my fish without it. Guilty confession I added a huge dollop of that heavenly Multigrain Chilli Mustard and enjoyed it with my mains. Karen was also kind enough to order an extra portion of the Vegetarian option a lovely Spinach and Organic Ricotta Gnocchi with Wild Pesto which we all liked but shameless carnivore me was bowled over by the Lamb and Fish. The Chef certainly did the Taj Bengal proud. Dessert was an Organic Lavender and Honey Crème Brulee that was delicate and quite lovely. Even after great proclamations of overeating we all ate dessert! This mega meal was a perfect setting for our interaction with Karen and lots of talk about Food in general. We were also gifted with some of her delicious products and a cookbook. She was kind enough to patiently sign all our cookbooks and pose for selfies and pictures with us. It was fun and by the time our afternoon came to an end we were all looking forward to the Kolkata Market the next day. It was a bright Sunday afternoon on the terrace of Taj Bengal which was where the market was held. Wonderful arrangements and a great turnout. I reached mid-afternoon and the place was absolutely buzzing. My friend Ritika was kind enough to accompany me, she is a wonderful person and spoils me silly and it was absolutely lovely to spend some time with her that day. The first place we went to was Karen’s Pune Farmers Market where we bought some of her wonderful products. That’s always a good thing to do because they tend to get sold out rather fast. We went on to have an absolutely lovely afternoon at The Farmers Market which was a runaway hit. Some of my favorite stalls were Karen Anands wonderful one. The Living Free stall had some lovely Cheese and yes I tasted and picked up some. Calcutta Stories had the dish of the day for me Pork Boti Kebab and a Roast Pork Bao that was delicious. The Churos from Bodega were sinfully good and the Berry Pulao at The Grid a treat. Hakuna Matata had an excellent Nolen Gur Cheesecake. Mumbles Lab , Cakes by Pooja and Souk were other stalls that had some very nice food on offer. Zomato and Easy Diner both had stalls there. Zomato had a Beer Drinking Competition which was a great success. But I was delighted and amazed at the quality of what the stalls had on offer and Ritika and I came back with a couple of bag fulls of stuff each rather happily. Met lots of friends and had a lovely time.An afternoon well spent and those of you who did not make it missed out on a lovely day out. I am looking forward to the next Farmers Market already, Thankyou Karen for your graciousness and warmth and Anindiya for the lovely invitation that made it all happen. 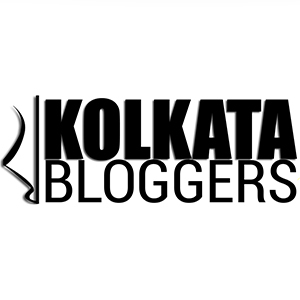 DISCLAIMER : I was invited as a guest of Karen Anand and Taj Bengal for the Bloggers Table but I visited the Kolkata Market by Karen Anand in my personal capacity , the opinions expressed are entirely my own.